Andy Poklad takes over the role of TN State Soccer Association Director of Coaching after over a decade as a club DOC and Executive Director. He has previously served as the Middle District Coaching Coordinator for the TSSA, a coaching education instructor and a coach in the Olympic Development Program (ODP). Poklad was the Director of Gameday Operations for Nashville FC (now Nashville SC) in their inaugural season and served as an Assistant Coach, the Head Coach and the General Manager of the Nashville Metro’s professional team from 2001-2004 where he transitioned the club from the USL A league into the USL PDL. Poklad’s 25 years of coaching experience also include college coaching spells at Vanderbilt and Western Kentucky University and coaching positions in clubs and scholastic programs in Middle TN. As well as attaining a USSF A license, Poklad holds the NSCAA Premier Diploma, the Director of Coaching Diploma and the USSF National Goalkeeper License. Dr. Adam Sayers is the head women’s soccer coach at East Tennessee State University, having previously coached at the University of South Florida and MTSU. Sayers’ duties include coordinating all aspects of a successful NCAA Division 1 program, and he was previously named Atlantic Sun Conference Coach of the Year. Sayers is also a sports science staff member with the United States youth women's national teams, working with the USA U18, U19 and U20 national teams. Brandy Palmer Gagliano currently works for Tennessee Soccer Club and is Co-founder and Co-owner of p3soccer, a college recruiting consulting business that helps student athletes and their families navigate the college soccer recruiting process. She has been coaching club and high school soccer since 1995 and has been involved in youth soccer in Tennessee since 2000. During this time, she has helped place over 100 athletes in college soccer programs. Darren Laver is the founder, of the International Street Soccer Association (ISSA), the world-wide recognized street soccer concept, and a globally recognized expert coach, educator and exhibition Performer. Darren has "dedicated his life” to coaching players to improve their creative skill. He provides training programs for amateur and professional clubs, councils and governing bodies across the world. Darren is a recognized authority on teaching methodology, and his performances and exhibitions have allowed coaches, teachers and those involved in the biggest sport in the world seek a more creative, efficient and dynamic way to coach the beautiful game. Darren’s extraordinary abilities and performances led him to being voted one of the best street soccer players in the United Kingdom and was the selected to be one of 25 star players to feature in EA Sports FIFA Street (2012 Video Game). Dr. Stuart Currie is an Associate Professor of Health and Human Performance at the University of Tennessee, Martin. Dr. Currie earned a Bachelor’s Degree in Physical Education, a Master’s Degree in Exercise and Sport Science, and a Ph.D. in Human Performance. Dr. Currie’s research includes physical education and sport pedagogy with an emphasis in physical education and sport coaching instructional models, physical literacy, and motor learning and development. Dr. Currie has presented his research on teaching and coaching best practices for soccer, golf, and tennis at regional, national and international conferences. Dr. Currie played soccer and golf in England in addition to playing both sports at the collegiate level in the United States. He holds a USSF ‘C’ License and has coached soccer at the youth and college levels and for the US Youth Soccer Olympic Development Program in Tennessee. Dr. Currie was an assistant professional golf instructor in England and coached at both the amateur and professional levels. Dr. Tiffany Breeding is the director of the S2 Nutrition Program and Chief Motivation Officer. She has been helping clients achieve sustainable performance enhancement and weight loss since 2005. 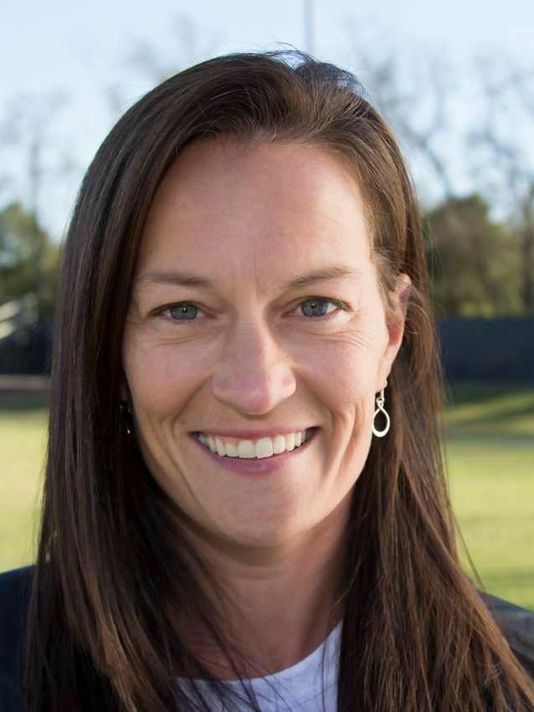 She began her work as a Performance Psychology consultant for Division I student-athletes in Tennessee and Georgia, also consulting privately with PGA, NFL and PDL Soccer professionals. Dr. Tiff earned her Master’s in Kinesiology/Performance Psychology from Georgia Southern (’05) and her PhD in Health and Human Performance from Middle Tennessee State (’08). Breeding is also a Certified Strength and Conditioning Specialist (NSCA) and Fitness Nutrition Specialist (NASM) and holds a USSF National C Coaching License. She brings her unique combination of mental and physical performance training to StudiO2 offering clients nutrition counseling, metabolic restoration, and performance coaching.